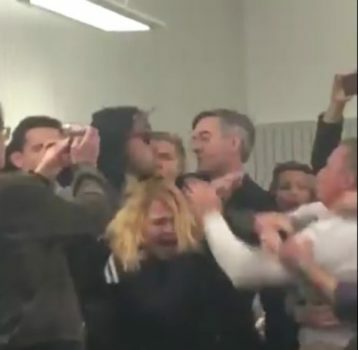 The ‘man in the white shirt’ who hit a woman protester at a Jacob Rees-Mogg speech says he stepped in to protect the MP due to a lack of security. The man said his reaction was prompted by a lack of security and that he feared for an attack on Mr Rees-Mogg in the wake of Jo Cox’s murder. Pingback: “Jacob Rees-Mogg gate: ‘man in white shirt’ hit woman to prevent violence” | Evening Harold | COMRADE BOYCIE: VIVA THE ANTI-TORY/BIG BROTHER REVOLUTION!